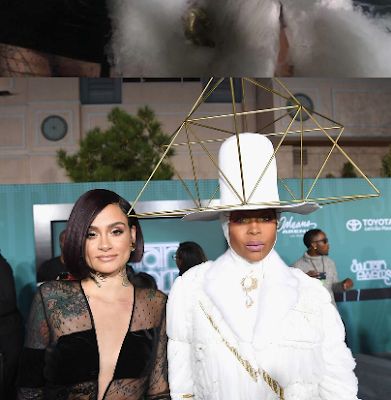 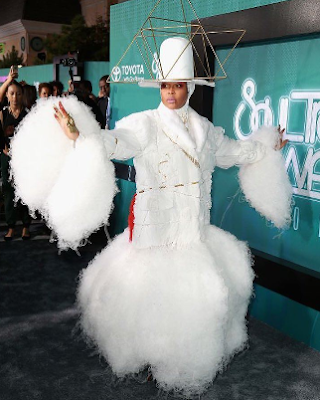 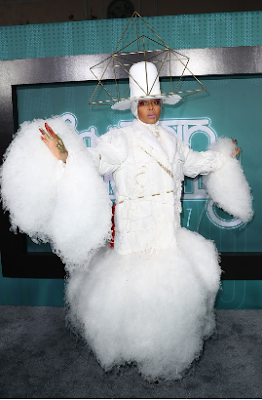 The godmother of soul, singer Erykah Badu, who was a host at the Soul Train awards for the third consecutive year, stepped out on the red carpet in this white ensemble. 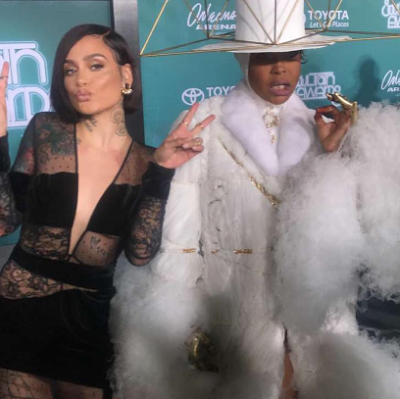 The event took place yesterday, Nov. 5 at the Orleans Arena in Las Vegas. 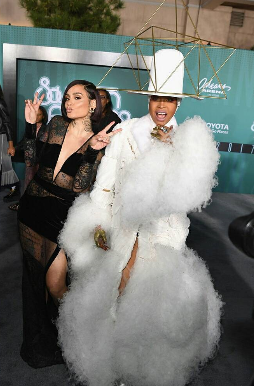 She took several photos with singer, Kehlani.